On New Year’s Eve day, take a walk on the wild (bird) side with the annual Audubon Christmas Bird Count, hosted by the Aspen Center for Environmental Studies (ACES) - https://www.aspennature.org/learn/events/Audubon-CBC-2016. On New Year’s Day, wake up bright-eyed and bushy-tailed and take advantage of the abundant winter recreation activities the area offers. Be one of the first up the lift in the morning, and beat the crowd to all of that newly-fallen or newly-groomed snow. 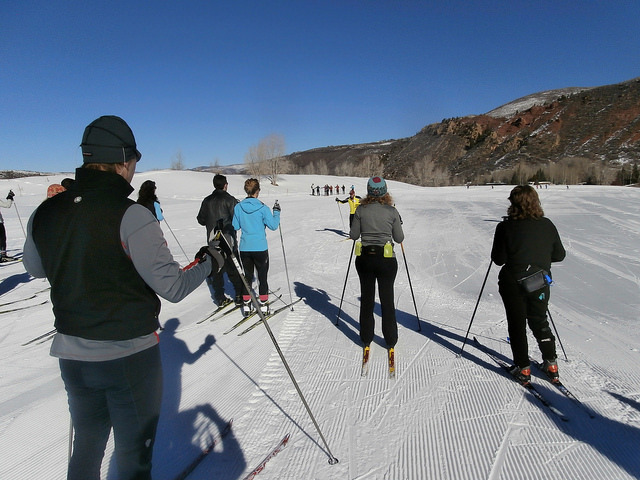 Or, if alpine skiing’s not your thing, break out the skinny skis and hit one of the awesomely prepared cross-country trails, courtesy of the Aspen Nordic Council - http://www.aspennordic.com/. Rather not slide down a hill, but still want some fresh air, good exercise, and a great view? Take a midday hike on Smuggler Mountain or the Sunnyside trail just west of town. There is a suggested donation of $65 for this workshop. “The New Year is a potent time to reflect and direct ourselves closer toward to what we want to experience and achieve in life. Too often we've seen a New Year's resolution formed as little more than a wish. Be inspired by the totemic wall sculpture works of Adele Seltzer at an art exhibit at the Andi-Le Aspen Gallery. Informed by an interest in archeology and nature, Adele has created these works from stone, recycled metals, and a variety of other found materials. This exhibit is free and open to the public: www.andi-le.com. Take in a film or two courtesy of the Winter Film Series with Jon Busch, held at the Pitkin County Library Cinema. New Year’s Eve - “Sun Valley Serenade”: In order to support the World War II effort, the Glen Miller Band takes in an orphan child who turns out to be none other than the three-time Norwegian Olympic skating champion, Sonja Henie. Of course, the New Year’s Eve highlights for many are the fireworks show over Aspen Mountain, the accompanying torchlight parade down Little Nell, and a free Bonfire and DJ held downtown at Wagner Park. The events run from 8:00 pm to Midnight, December 31, 2016. Not to be outdone, Snowmass now has its own New Year’s Eve fireworks and torchlight parade. 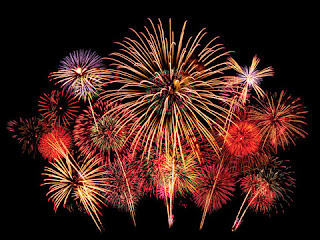 Visit http://www.gosnowmass.com/event/torchlight-parade-and-fireworks/ for details.